Ganga Prasad Puneet Kumar, Faridabad, have gained wide experience in the field of Henna Herbal Hair care products since the inception. We manufacture these Hair care products with excellent grade natural and pure herbs as a raw material without using any chemical substances that are procured from quality driven vendors. We also engaged in customization of these Hair care products as per the clientele requirement. Further we do well hygienic & standard packaging of these Hair care products as per the clients need and trade throughout the world with complete satisfaction. 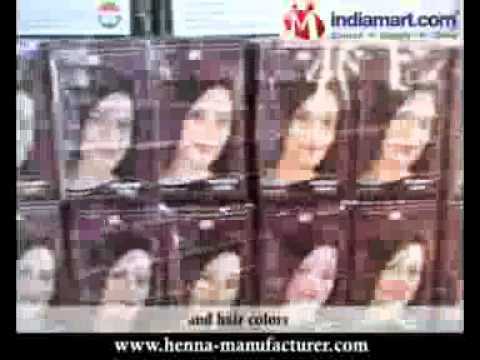 We offer wide range of henna hair care products and hair colors that include Henna Hair Colors, Black Henna, Brown Henna, Burgundy Henna, Chestnut Henna, Natural Henna Hair Color, Orange Henna, Mahogany Henna, Purple Henna, Golden Brown Henna, Indian Herbs, Natural Henna Products, Henna Hair Care, 100% Natural Organic Hair Color and various other products. We have special team of quality analysis who work towards delivering quality in our entire range of products. We have special departments for every unit such as production, supply, quality, R&D, marketing & supply, warehouse &packaging and many more.